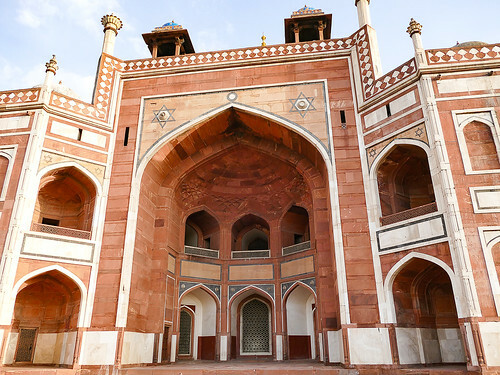 While I go to New Delhi often, it is very seldom that I get a chance to see the city like a tourist. A few months ago however, I was hosting some friends from outside the country so I visited a few cities in India. 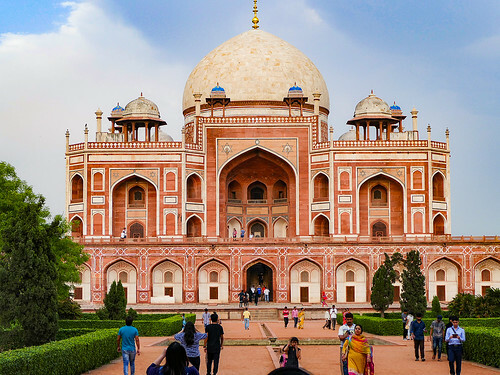 Our first stop was Delhi and I thought we would start with Humayun’s Tomb . Now a quick history break here. 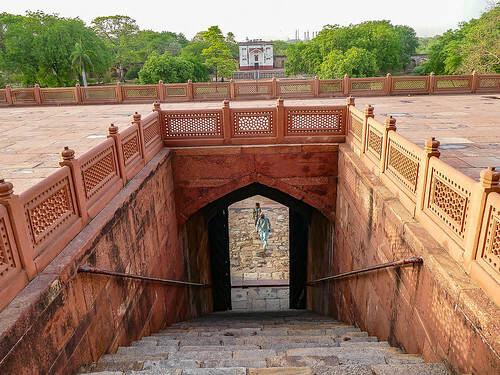 Mughal dynasty was a dynasty founded by Babur, the first Mughal king who came to rule India originaly from Persia which spanned from Uzbekistan in the east to Greece and Libya in the west. 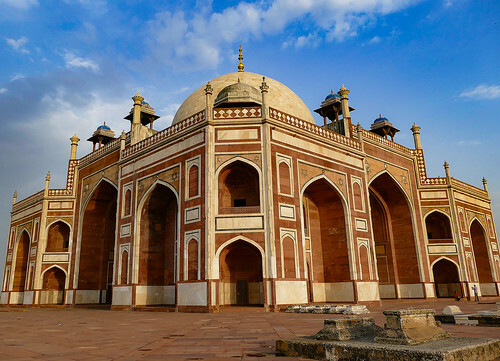 There were around 8 Mughal kings which ruled india for around 33 odd years ( after which the British Colonial powers took over ), the first 5 were notable and great and very importantly Secular rulers, they were in order, Babur, Humayu, Akbar, Jahagnir and Shah Jahan and then 3 non notable ones. So if you come across the term “Mughal” anywhere , it simply means relating to these 8 kings ( and in 90% of the cases, to the first 5 ) The last Mughal king, Bahadur Shah Zafar was a great poet but a lousy ruler . 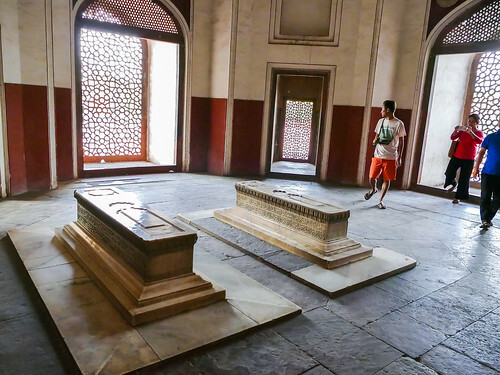 So Humayu who is buried here was the 2nd Mughal Emperor. 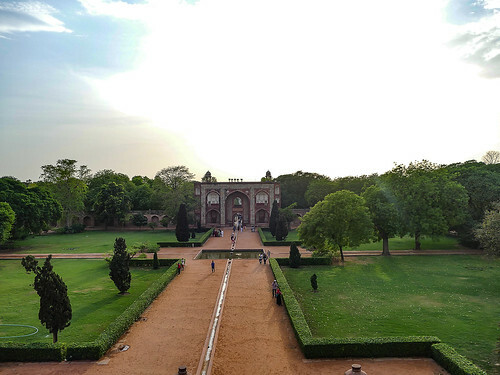 The tomb of Humayun was built by the orders of Humayun’s first wife and chief consort, Empress Bega Begum The construction began in 1565, nine years after his death, and completed in 1572 AD at a cost of 1.5 million rupees at the time. 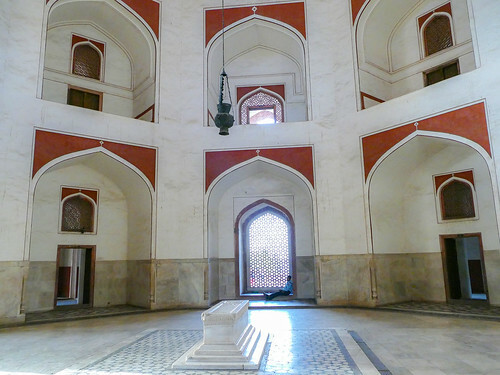 The cost for building the mausoleum was paid entirely by Empress Bega Begum. The architect of the tomb was the Persian architect, Mirak Mirza Ghiyas who was brought from Herat( northwest Afghanistan) aUnfortunately, before the structure’s completion, he died and so his son Sayyed Muhammad ibn Mirak Ghiyathuddin completed his father’s design in 1571. The structure recently underwent a 6 year restoration and it really looks beautiful now. 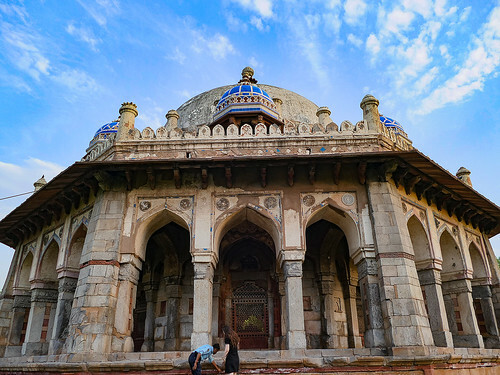 While the main tomb took over eight years to build, it was also placed in centre of a 30-acre Char Bagh (Four Gardens), a Persian-style garden with quadrilateral layout and was the first of its kind in the South Asia region in such a scale. 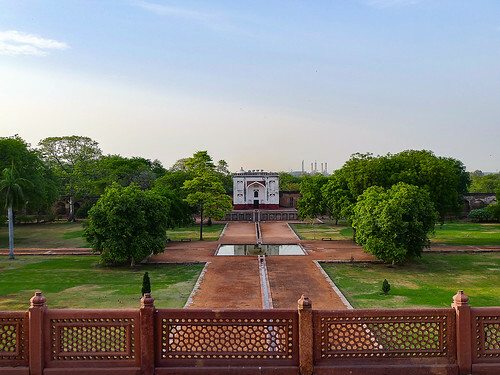 The highly geometrical and enclosed Paradise garden is divided into four squares by paved walkways and two bisecting central water channels, reflecting the four rivers that flow in jannat, the Islamic concept of paradise. The central water channels appear to be disappearing beneath the tomb structure and reappearing on the other side in a straight line, suggesting the Quranic verse, which talks of rivers flowing beneath the ‘Garden of Paradise’. 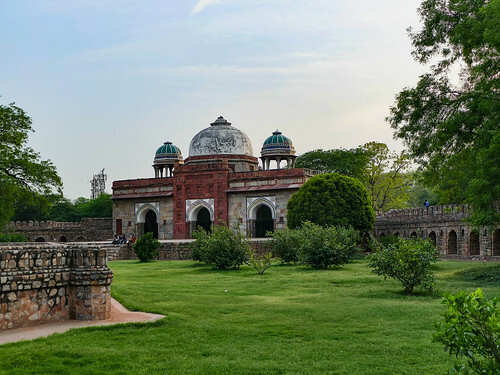 Tomb and mosque of Isa Khan: Several monuments dot the pathway leading up to the tomb enclosure from the main entrance in the West. Prominent among them is one that pre-dates the main tomb itself, by twenty years. 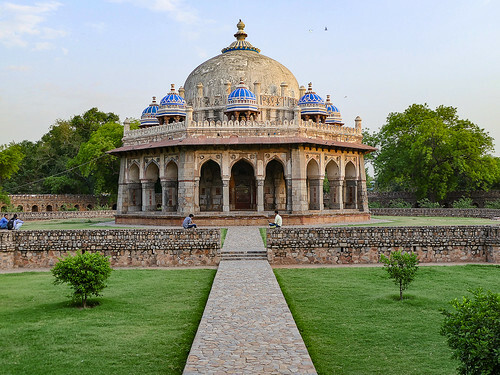 Constructed in 1547 CE, it is the tomb complex of Isa Khan Niyazi, an Afghan noble in Sher Shah Suri’s court of the Suri dynasty, who fought against the Mughals. Some pictures of the complex..